Papaʻāpoho describes a flat area with a depression or hollow, which is how the island of Papaʻāpoho is shaped. It’s over 1,000-miles from Honolulu. Like its name, the island has an elevated rim (its highest point is a 40-foot-high sand dune) surrounding a broad central depression; its lowest point is a depression to the south that runs as a channel toward the ocean. At 10 pm, October 15, 1805, Urey Lisiansky (Yuri Fyodorovich Lisyansky,) an officer in the Imperial Russian Navy and commanding officer of the exploratory sloop-of-war Neva, ran aground on the island. Captain Lisiansky jettisoned some of the ship’s cargo to free themselves from the shallow waters. In 1857, King Kamehameha IV asked Captain John Paty to make a voyage of exploration to the Northwestern Hawaiian Islands. In part, he was sent to investigate the possibility of guano deposits on islands there (for fertilizer for the growing agricultural economy back on the Main Hawaiian Islands. In 1890, George D Freeth, an Englishman who had visited the area as early as 1864, and George N Wilcox, who had previously managed a guano operation on Jarvis Island, formed the North Pacific Phosphate and Fertilizer Company. Feather collecting began on Lisianski about 1904. In response to public outcry about the feather trade, Theodore Roosevelt established the Hawaiian Island Bird Reservation, which included Lisianski, in 1909. It is home to a large Bonin petrel colony (over three-quarters of the Bonin Petrels that nest in Hawaii nest here) and sooty tern colony, as well as a variety of other seabirds. Lisianski has the only grove of Pisonia grandis trees in the entire Hawaiian Archipelago; this tree is dispersed by seabirds and is favored as a nesting site for many tree-nesting seabird species. The reefs of Lisianski and surrounding Neva Shoals are called “coral gardens” by some scientists because of their abundance of coral and the variety of growth forms assumed by their colonies, including structures resembling spires, castles, and a variety of other shapes. Click HERE for a link to a ‘street view’ of Lisianski. The image shows Papaʻāpoho (Lisianski) (Google Street View.) In addition, I have added others similar images in a folder of like name in the Photos section on my Facebook and Google+ pages. July 12, 2003 was an extraordinary day in my life; the experiences that day helped me as Chair of Board of the Land and Natural Resources make the recommendation to the rest of the BLNR (and we then voted unanimously) to impose the most stringent measures to assure protection of the place. That action created Refuge rules “To establish a marine refuge in the Northwestern Hawaiian Islands for the long-term conservation and protection of the unique coral reef ecosystems and the related marine resources and species, to ensure their conservation and natural character for present and future generations.“ Fishing and other extraction is prohibited. Kānemilohaʻi is the first atoll to the northwest of the main Hawaiian Islands; it’s also the midpoint of the Hawaiian Islands archipelago and the largest coral reef area in Hawai‘i. The crescent-shaped atoll of small islands is 18-miles in diameter. The lagoon is unusual in that it contains two exposed volcanic pinnacles representing the last remainders of the high island from which the atoll was derived. The largest pinnacle, La Perouse Pinnacle (rising vertically about 120-feet above sea level, 7-miles south of Tern Island and is named after Jean Francois de Galaup, Compte de La Pérouse who sailed there in 1786) is a rock outcrop in the center of the atoll. It is reportedly the oldest and most remote volcanic rock in the Hawaiian chain. Making up the rest of the atoll are nine low, sandy islets. The sand islets are small, shift position, and disappear and reappear. The “main” island is referred to today as Tern Island. Terns are birds … there are a lot of terns on Tern Island. The islands first played a part in World War II when they were included in Japanese plans for refueling seaplanes from submarines in the sheltered waters of the atoll. Such a refueling was successfully carried out in 1942 by two Imperial Japanese Navy flying boats that were refueled by a submarine. The seaplanes then mounted a bombing raid on Pearl Harbor, although they were thwarted from hitting their targets by inclement weather. A station was commissioned in 1943 as an auxiliary of Pearl Harbor and also served as an emergency landing strip and refueling stop for fighter squadrons transiting between Honolulu and Midway. Quonset Huts were erected to serve as housing; the typical complement was 118-men, who rotated from Pearl Harbor on a three month tour. In February 1949, the Navy abandoned the airstrip and facilities to the Territory of Hawaiʻi. In January 1952, the Coast Guard to build a LORAN navigation beacon tower on Tern Island, along with a 20-man support facility. (LORAN (LOng RAnge Navigation) is a radio navigation system enabling ships and aircraft to determine their position and speed.) The Coast Guard installation continued until 1979. When the tracking installation obtained data from a particularly important track, the data tapes would be put in a fiberglass canister, attached by a nylon rope to a grappling hook at the top of a pole erected on the runway. This would be snagged by a passing C-130 in mid-air above the runway. In recent years, Tern Island became part of the Hawaiian & Pacific Islands National Wildlife Refuge Complex. A ranger station occupies the former Coast Guard buildings and is occupied by small groups of researchers. The runway continues to be used for occasional personnel transfer & supply flights. These islets provide important habitat for the world’s largest breeding colony of the endangered Hawaiian monk seal and also provide nesting sites for 90-percent of the threatened green turtle population breeding in the Hawaiian Archipelago. In helping people understand what I mean, I have referred to my recommendation to impose stringent protective measures and prohibit extraction as the responsibility we share to provide future generations a chance to see what it looks like in a place in the world where you don’t take something. The BLNR’s action started a process where several others followed with similar stringent protective measures. Kānemilohaʻi is now part of Papahānaumokuākea Marine National Monument, a State and Federal (State of Hawaiʻi, Department of the Interior’s US Fish and Wildlife Service and the Commerce Department’s National Oceanic and Atmospheric Administration) co-managed marine conservation area. The monument encompasses nearly 140,000-square miles of the Pacific Ocean – an area larger than all the country’s national parks combined. Oh, the modern name for Kānemilohaʻi? On November 6, 1786, French explorer La Pérouse, aboard his frigate, the Broussole, accompanied by the Astrolabe, was sailing westward from Monterey to Macao. In the wee morning hours, men on both ships sighted breakers directly ahead; both boats were immediately brought about and avoided the breakers. 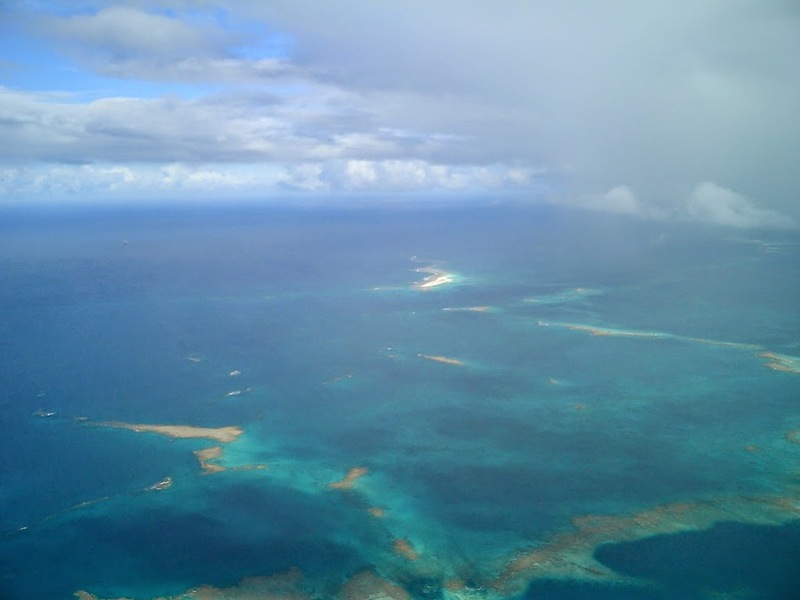 The image shows some of the reefs and islands of Kānemilohaʻi (French Frigate Shoals.) In addition, I have added others similar images in a folder of like name in the Photos section on my Facebook and Google+ pages. 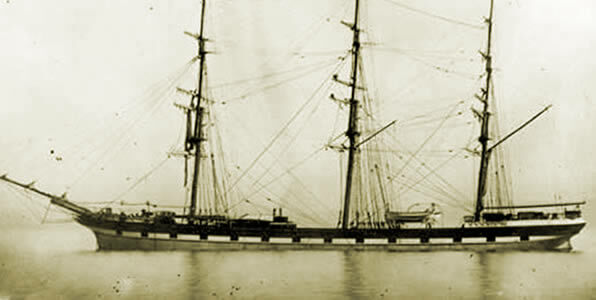 Shortly afterwards, the USS Saginaw, a Civil War-era side wheel gunboat, was assigned to support improvement efforts at Midway where a coal depot in support of transpacific commerce was to be built. For six months, she served as a support vessel for divers as they labored to clear a channel into the lagoon. In October 1870, the unsuccessful operation was terminated. Saginaw set course for nearby Kure Atoll to check for castaways before returning to San Francisco. The ship would meet a tragic end on the reef at Kure Atoll where she wrecked in the middle of the night. The Japanese planned to assault and occupy the atoll in order to threaten an invasion of Hawaiʻi and draw the American naval forces that had survived the attack on Pearl Harbor out into an ambush against the brunt of the Imperial Japanese Navy. Midway was of vital importance to both Japanese and American war strategies in World War II, and the raid on the atoll was one of the most significant battles of the war, marking a major shift in the balance of power between the United States and Japan. As dawn approached at around 0430, June 4, 1942, the American carriers (Enterprise, Hornet, and Yorktown) were about 300 miles north north-east of Midway. Their Japanese counterparts (Akagi, Kaga, Sōryū and Hiryū) were 250 miles northwest of the atoll. In their attack, the Imperial Japanese Navy lost two thirds of its fleet aircraft carriers (four Japanese aircraft carriers and their accompanying aircraft and crews.) The loss of USS Yorktown was a major blow to the US, but the American wartime production of men and materiel would soon make up the difference and outpace that of the Japanese. While the primary carrier fleet engagement occurred well to the north of Midway Atoll, much of the “secondary” action occurred within or originated from the atoll. The Battle of Midway (June 4-7, 1942) is considered the most decisive US victory and is referred to as the “turning point” of World War II in the Pacific. The victory allowed the United States and its allies to move into an offensive position. 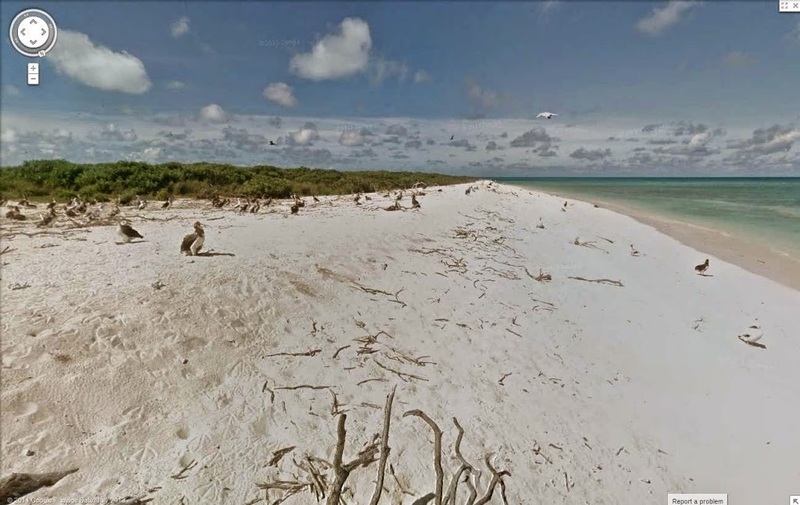 In 2000, Secretary of the Interior Bruce Babbitt designated Midway Atoll National Wildlife Refuge as the Battle of Midway National Memorial, making it the first National Memorial designated on a National Wildlife Refuge. Of all the Islands and atolls in the Hawaiian archipelago, while Midway is part of the US, it the only one that is not part of the State of Hawaiʻi. Today, Midway is administered by the US Fish and Wildlife Service as Midway Atoll National Wildlife Refuge within Papahānaumokuākea Marine National Monument, a marine protected area encompassing all of the Northwestern Hawaiian Islands. 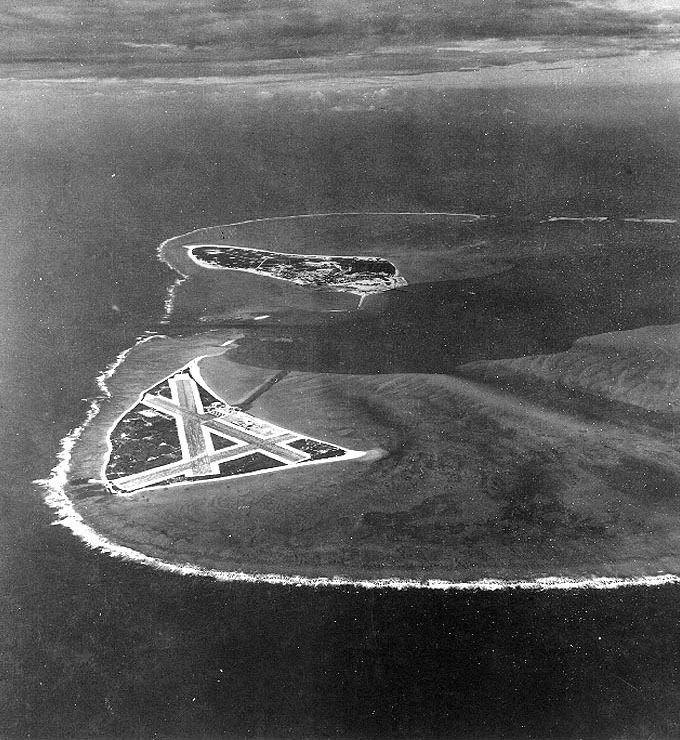 The image shows Sand Island and eastern Islands at Midway, November 1941, before the battle. In addition, I have added other related images in a folder of like name in the Photos section on my Facebook and Google+ pages. Downtown Honolulu used to be known as Kou, a district roughly encompassing the area from Nuʻuanu Avenue to Alakea Street and from Hotel Street to Queen Street (which, then, was the edge of the waterfront) – essentially the heart of the present downtown. The name Honolulu (with numerous variations in spelling) soon came into use. In the 1800s, the City of Honolulu was the area near the harbor which is now referred to as downtown Honolulu. OK, so what really makes up the present day City & County of Honolulu … and how big is it? In expanse, Honolulu is the “largest” city in the world. We know it includes the island of Oʻahu; but that’s not all. Let’s take a look at how and what makes up Honolulu – to get there, though, we first need to wade through some political and legal mumbo jumbo. So, before we see what “Honolulu” really is, let’s look at the make-up of the State. The Main Hawaiian Island group consists of the following islands: Hawaiʻi, Maui, Oʻahu, Kauaʻi, Molokai, Lānaʻi, Niʻihau, Kahoʻolawe, Molokini, Lehua and, Kaʻula. Papahānaumokuākea (Northwestern Hawaiian Islands) consists of all islands, atolls, reefs and shoals in the Hawaiian Archipelago northwest of Kauaʻi and Niʻihau. All islands, atolls, reefs and shoals in the Hawaiian Archipelago, except for the Midway Islands, are included in the State of Hawaiʻi under the Admission Act, the State Constitution and the Hawaiʻi Revised Statutes. Many of these islands, or groups of islands, actually consist of many islets; for example, French Frigate Shoals contains 13 specific islets. The nine major islands, or groups of islands, range in size from Maro Reef with less than one acre to Laysan Island with 913 acres. OK, some more political and legal mumbo jumbo. The origin of county government within the American context is found in the Organic Act (June 14, 1900) which created the Territory of Hawaiʻi and which gave it the authority to establish municipalities. While Hawaiʻi is the world’s most-isolated, populated-place, we are about: 2,500-miles from the US mainland, Samoa & Alaska; 4,000-miles from Tokyo, New Zealand & Guam, and 5,000-miles from Australia, the Philippines & Korea. We sometimes overlook the size of our largest City, Honolulu. There are some things that get in the way of determining the actual “area” of Honolulu. 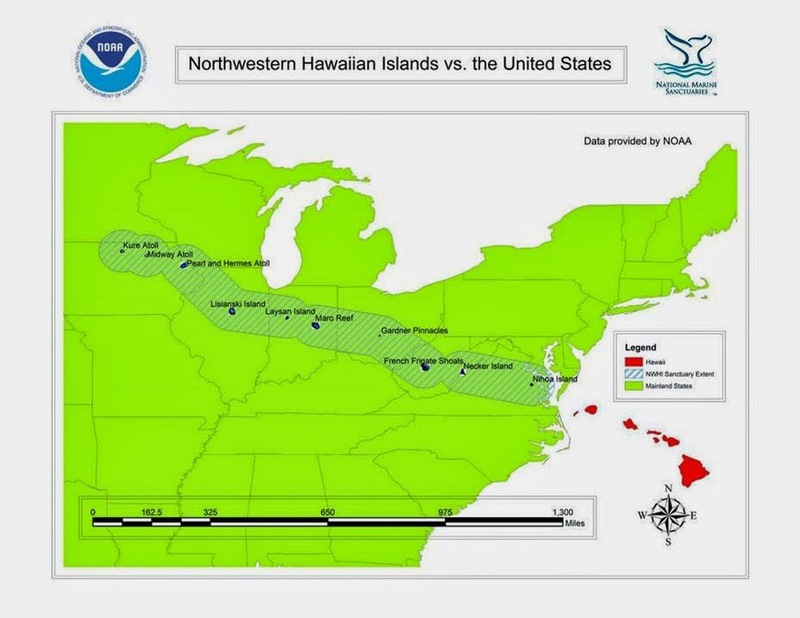 In part, there is disagreement on the status of the archipelagic waters (and whether it is appropriate to include these in the “area” of Honolulu) – especially in the marine expanse between Kure and Kauaʻi. Some have suggested the linkage of “historic waters” (in and around the islands, including the connecting channels in between.) The linkages are clearer within the Main Hawaiian Islands, maybe not so much to the northwest. If not in overall area (land and connecting water,) Honolulu is clearly the largest city in expanse from Kure to Oʻahu. The image shows the Hawaiian Islands over the North American continent. In addition, I have included other images in a folder of like name in the Photos section on my Facebook and Google+ pages.